Man I guess has a natural fascination of things flying, from a pterodactyl to UFOs. We do get a buzz from time to time. 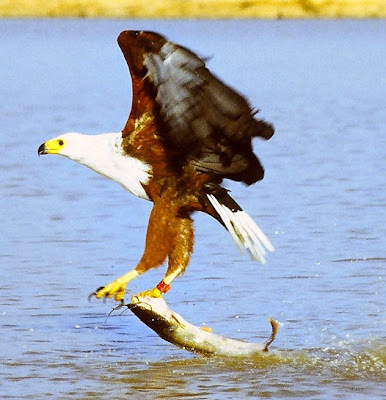 Wonder if an ancient Maranao man while drinking from a primeval stream witnessed an eagle catch a fish with a single swoop. 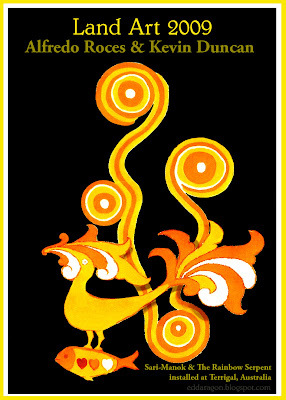 Sarimanok told tales even before an Islamic legend where Muhammad found a rooster in the first of the seven heavens. 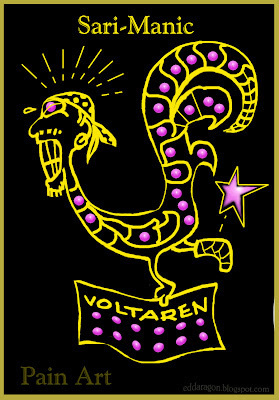 I often add "t" to end the word pain; it seems painting was my only way to increase threshold and thus save my precious kidney from those helpful but nasty painkillers (tho' a little, sweetly pink Voltaren tablet was heaven-sent for moi to enjoy a 60th bash sans an indiscreet limp). Ding obviously came to mind as best guy to represent our charming Filipino-Australian community tho' I had early apprehensions that passing the ball might be perceived by him in a different manner. But then no, he got excited as my partner broke him the news. Thank God the man had an old, noble dream and the universe conspired to have him standing during the wee hours of a damp morning in a beach town called Terrigal. Ding drew his first Sari-Manok 50 years ago as a front cover on an Australian magazine (at the time when he hasn't even migrated to Australia yet.) Then this opportunity came to have it drawn once more proved irresistible. The Sari-Manok has risen again like a Phoenix out of the ashes of cultural obscurity. This time our Southern Philippine brothers (particularly the Maranao) have somehow magically connected to another race of ancient people farther south, Terra Australis, where the Southern Cross stars reign supreme. Ding and Kevin, inside the serpent's head. Ah, the romantic splendour of the seduction of the Sarimanok by the Rainbow Serpent shall now be forever part of the myths surrounding two mythical creatures of the South. 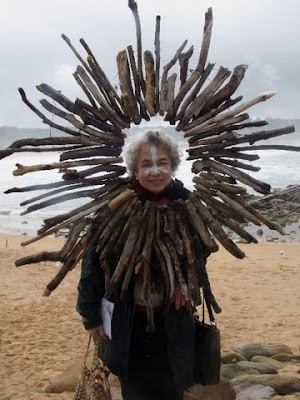 Irene Roces made over for the opening ritual. Earlier I warned Ding (while doing the design he kept secret;) about the possible danger, composition-wise, of the Sarimanok being swallowed by Kevin's Rainbow Serpent! Indeed he made sure it didn't afterall. "It was raining most of the time but it was a truly fabulous day! We started at six with the moon still hanging in the sky on the Skillion and ended late afternoon exhausted but exhilarated with the pounding of dozens of drums at the beach in Terrigal.Wow! Magic! Being alive! Wish you had all been there." If you're still with me, here was an article published in a magazine just before the opening last Saturday, 20th of June. 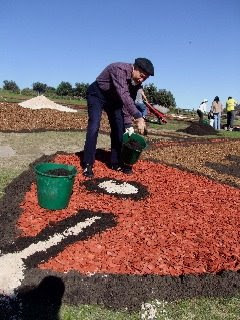 PREPARATIONS are in full swing for the 2009 Five Lands Walk from MacMasters Beach to Terrigal later this month, where a Central Coast minority culture will be featured for the first time. The walk will see diverse cultures come together on Saturday, June 20, from 5am. For the first time the event will showcase the contribution and influence of the Filipino culture a minority culture on the Central Coast. This involvement will be highlighted throughout the day's activities. 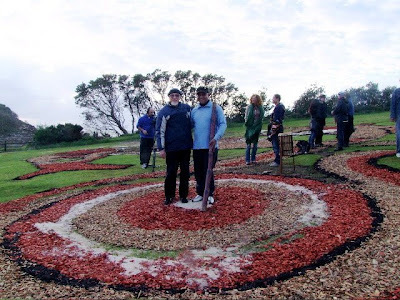 In a unique arrangement, local Aboriginal artist Kevin 'Gavi' Duncan will be joined by Filipino artist Alfredo 'Ding' Roces to feature an artistic collaboration as the event's land art centrepiece at The Skillion, Terrigal. The collaboration will feature the sari-manok bird. 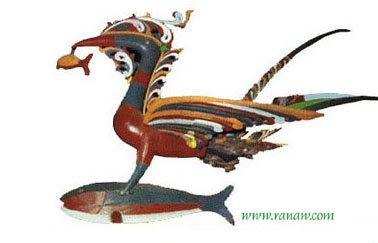 To the lake dwelling Maranao in Southern Philippines, the sari-manok is a mythical bird; a messenger of the gods. The colourful magical bird (known as a kingfisher to some) sometimes grasps a fish in its claws. The fish conveys the message of love, good fortune and prosperity. Celebrated artist from the Gomilaroi people, Kevin Duncan, is excited to create a collaboration that is reflective of the two identities. 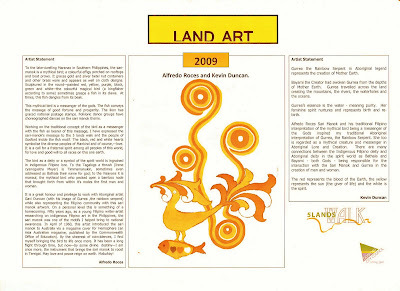 "Alfredo Roce's sari-manok and his traditional Filipino interpretation of the mythical bird being a messenger of the Gods inspired my traditional Aboriginal interpretation of Gurrea, the Rainbow Serpent,"Mr Duncan said. "She too is regarded as a mythical creature and messenger in Aboriginal Lore and Creation. "There are many connections between the Indigenous Filipino deity and Aboriginal deity in the spirit world as Bathala and Bayami both Gods being responsible for the interaction with the sari-manok and Gurrea in the creation of man and woman," Mr Duncan said. Co-collaborator Alfredo 'Ding' Roces, has had more than 20 one-man shows, received numerous accolades, worked as a journalist for the Manila Times and is now an award-winning freelance art writer. The renowned Filipino artist is also passionate about the opportunity to be involved in the project. "It is a great honour and privilege to work with Aboriginal artist Gavi Duncan while also representing the Filipino community with this sari-manok artwork," Mr Roces said. In addition to the land art installation, the event will feature a kite flying demonstration, musical performances and dances by members of the Filipino community. The Five Lands Walk is an initiative of Gosford City Council and developed with community organisations and local Aboriginal people. 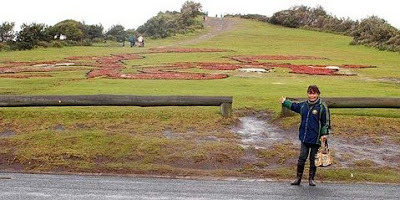 It is a cultural, physical and spiritual journey comprising a 9km walk through the five lands: Macmasters Beach, Copacabana, Avoca Beach, North Avoca and Terrigal. 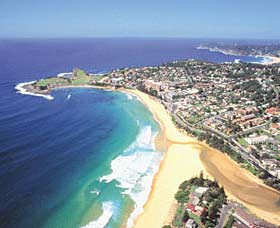 It is also seen as a means of preserving and appreciating the unique heritage of the Gosford City region and its people. Something to really crow about and ne proud of. What a collaboration. galing. Congrats Ding!